After one of the most exciting off-seasons to date, we will soon be walking in to what should be one of the most competitive LCS splits ever seen. There have been huge roster changes. After one of the most exciting off-seasons to date, we will soon be walking in to what should be one of the most competitive LCS splits ever seen. There have been huge roster changes. 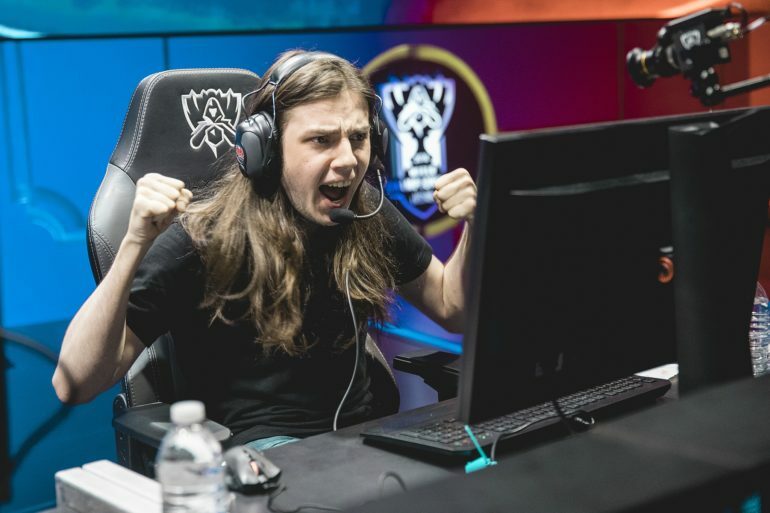 Dynasties that have stood the test of time have reformed their rosters to take another crack at the coveted Summoners Cup while other dynasties have fallen by the wayside. Now, only a few short days away from the start of the season six League Championship Series, here are some of my predictions on what we might see. WildTurtle will return to form and synergize perfectly with his new team. With the meta shifting in favor of ADC’s over the course of the off-season, aggressive ADC’s will come out on top. Ever since the meta shifted away from aggressive ADC’s and over to the more utility based champions, WildTurtle has received endless criticism. Now, back in his element and surrounded by a team that can support his aggressive style, he will show the doubters why he deserves to be playing at the highest level of League of Legends. Immortals will be a powerhouse. They have peiced together a team that, in theory, will mesh stylistically and run over most of the opposition. Turtle thrives in the front line, dishing out damage and tempting his enemies into engaging on him. With an aggressive top laner, Huni, backed by excellent jungle synergy from his partner in crime, Reignover, and a support, Adrian, who is used to following up the aggressive engages of his team, Turtle should fit right in. Add in Pobelter and his power control mage play and you’ve got a recipe for brutal teamfights. The other teams in NA are not likely to be pushovers, but I still see Immortals finishing in the top three with WildTurtle leading the charge. H2k has put together a strong roster capable of meshing with one another. H2k has retained Ryu and Odoamne in mid and top respectively. Both of these players are extremely consistent from week to week and show flashes of brilliance occasionally. They are an excellent backbone to the team. H2k also signed two former ROCCAT players in Jankos and Vander and topped the roster off with ADC superstar Forgiven. If Vander and Jankos are able to use their support-jungle synergy to net gold and kills to Forgiven, this will quickly become the most dangerous bot lane in EU… by far… This team will quickly assert itself as one of the teams to beat. I feel strongly that this team will be quick to mesh with one another, being bested only by Origen. Prediction #3: TSM struggles to mesh personalities. TSM’s star players will clash with one another, causing problems early on. TSM has one of the most star-studded rosters I have ever seen from a western team. The roster truly gives me chills and a hope that we might see a western team in the World finals this year… Having said that, the personalities on the team worry me. Svenskeren has been reported as toxic and hard to work with, it wouldn’t be a true Doublelift line-up if he doesn’t end up fighting with at least one member on his roster, and with Hauntzer, I see very similar things to the situation Dyrus was in at the end of the spring split. Hauntzer comes from a team where he was able to have an impact despite his lack of resources. Dyrus was forced to play this same style and eventually teams learned to exploit this weakness. In my opinion, the success of this roster all comes down to Yellowstar. He is one of the best League of Legends players in history and his shotcalling is matched only by Hai in the west. He was able to take a team of rookies and unknowns, win two splits in a row, and reach the semifinals at worlds. If there is anyone who can curb the personalities surrounding him, it’s Yellowstar… My prediction is that TSM will have a mediocre spring split. The games that they win will be off of their strong individual mechanics in the early game as opposed to strong macro play. We’ll see flashes of brilliance as they occasionally listen to Yellowstar’s shotcalling, but they will eventualy be defeated by teams with better rotations and communication. They will finish fourth place, fix their problems in between splits, and crush the competition during the summer. Season six will end with the players of Echo Fox scattering to other teams. Rick Fox will bow out of the e-sports scene, selling his LCS spot. As the esports scene continues to grow exponentially, several venture capitalists have turned their eyes to esports as the next way to make their millions. With the sponsorship of Coke and as Riot begins to draw the attention of ESPN and other sports news networks, it seems like now is the time to invest. But investing into an esports team isn’t as simple as investing in a new business. Rick Fox’s team, Echo Fox will find moderate success, acheiving a handful of wins primarily off the back of Froggen with possible support from Keith and their unknown top laner, KFO. Nonetheless, they will end the split in the middle of the pack, avoiding relegation. Mr. Fox, dissappointed by an investment without an instant pay-off, will look to sell his LCS spot. Froggen will return to Europe and sign with a team of players unable to back up his allstar level play. Putting up impressive stats despite their teams’ mediocre performance, Keith and KFO will be recruited by other teams. Baby and Hard will go back to playing for challenger teams. With fresh blood injected into the roster and LemonNation as coach, Cloud9 will rampage through the spring split. Cloud9 will be unstoppable through the spring split. After facing criticism for almost a full year, Balls will return with a vengeance this split. Any other team would have replaced him by now, but Cloud9 is sticking to their guns and I hope to see Balls prove to us all why he is still playing. With years of playing together under their belt, Hai and Sneaky will become the most dangerous bot lane in NA. Rush will develop unparalled synergy with Balls and Jensen, dismantling the newer teams still struggling to find their style. LemonNation, now freed from the necessity of practicing his mechanics, will define the new meta in NA and the other teams will be slow to adapt. Retaining their core roster and under the tutelage of Xpeke, Origen will largely dominate the spring split before going undefeated during the Summer. Origen has been one of the only constants during this off-season. They announced early on that PowerofEvil would be joining their roster as their midlaner in tandem with Xpeke and this has been the only change. Maintaining their already successful roster and integrating a midlaner who has not yet reached his skill ceiling, the team will look a bit rough around the edges for the first few weeks as they learn to play with their new midlaner. They will drop a game or two early on in the season before their play solidifies and they begin to crush their opposition. Between the spring and summer split, Xpeke will announce his permanent retirement to manage his team full-time. No roster changes will occur over the break and they will stomp through the summer split, returning to worlds for the second time. A team will lose every single game in a split for the first time. The ten man roster will cause tension within the team and lead to poor play. Steve Arhancet always has some new experiment to try with his teams. He is hailed as an excellent team owner and an inovator but I think this particular innovation will backfire. The idea is good in theory: more competitiveness within the team will lead to better play. But we’re dealing with teens here. The competition will cause problems and resentment between members of the team. Those who are fielded more often will develop a superiority complex and those who are benched will resent the starters. Playstyles will take longer to develop and synergy will flucuate from week to week. My hope is that the ten players are living together in order to provide a more rigorous scrim schedule where a better practice environment can be created, but that is not what it has sounded like up until this point. My bet is that after the first few weeks of shuffling, TL will settle on one roster and field the same players week after week. Perhaps this model will see better results after the format change. Splyce is able to stand toe to toe with the best in Europe. This team excites me. Although full of relatively unknown players, the team has been playing together for a while. Besides their new jungler, synergy and playstyle has already been established. Just recently, they added YamatoCannon as their head coach. The community seems to have nothing but respect for this young coach and everyone who has worked with him in the past has had nothing but good things to say about him. Having to worry very little about his teams synergy, YamatoCannon should be able to focus on preparing the team for its competition. I see Spylce finishing fourth in the spring split, even going as far as taking a game or two off of top teams. After only a single split of Bo2/Bo3’s, we will see marked improvement across both regions on the international stage. Though the shift to best of two’s in Europe and best of three’s in North America has seen mixed reviews, it will be evident after the Summer split that this decision was an excellent one. The improvement will be seen almost immediately the first time a western team plays on the international stage. Not only will we see improvement in play, we will also see a drastic improvement in competition from week to week. Games will be more exciting, and we will get to see more of them. These are my predictions for season six. This is also my first ‘predictions’ article. Hopefully I turn out to be the next League of Legends prophet. If you enjoyed my writing, check back in soon for the second installment in my series on Climbing the Ladder. You can find the first one here.